This has got to be the best Friday EVER! Trust us when we say the shopping rage isn’t worth it (Cyber Monday’s probably better). Get out there and enjoy these awesome Black Friday flash deals at 1-Altitude, Botanico, The Summerhouse and more. You’d be glad you did. Dine, imbibe, rave, and T.G.I.Black Friday! Listen Up For Crazy Black Hour Deals! 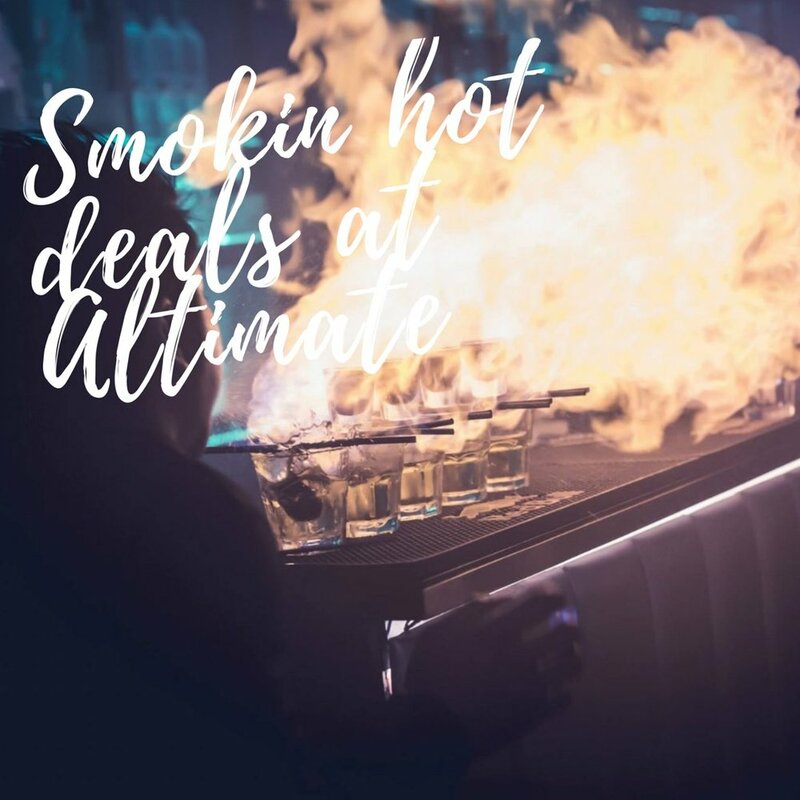 If you already have plans to head up to Altimate this Friday night, keep a “earout” for smoking hot deals at the Black Hour. Rally your squad and get groovin’ on your favorite dancefloor! Only valid at the bar when the emcee announces the black hour deal. Applicable on 23rd November 2018, Friday only. Attention Sweet Tooth, Cake’s On Us! Enjoy a complimentary slice of cake with every order of a main. Valid for dine in only. Reservations not required. Simply order any mains and be rewarded with a slice of cake. Not valid with other ongoing promotions or discounts. Promotion applicable on 23rd November 2018, Friday only. Four’s A Party! Every 4th Diner Eats Free! Limited to the first 20 reservation, up to 8 diners per reservation. Valid only for communal dinner menu and dine in only. Reservations are required, quote “Thank god it’s black friday” to enjoy this offer. It’s Inkcredible! Enjoy Our Signature Squid Ink Pasta (U.P $48) At Half Your Buck! 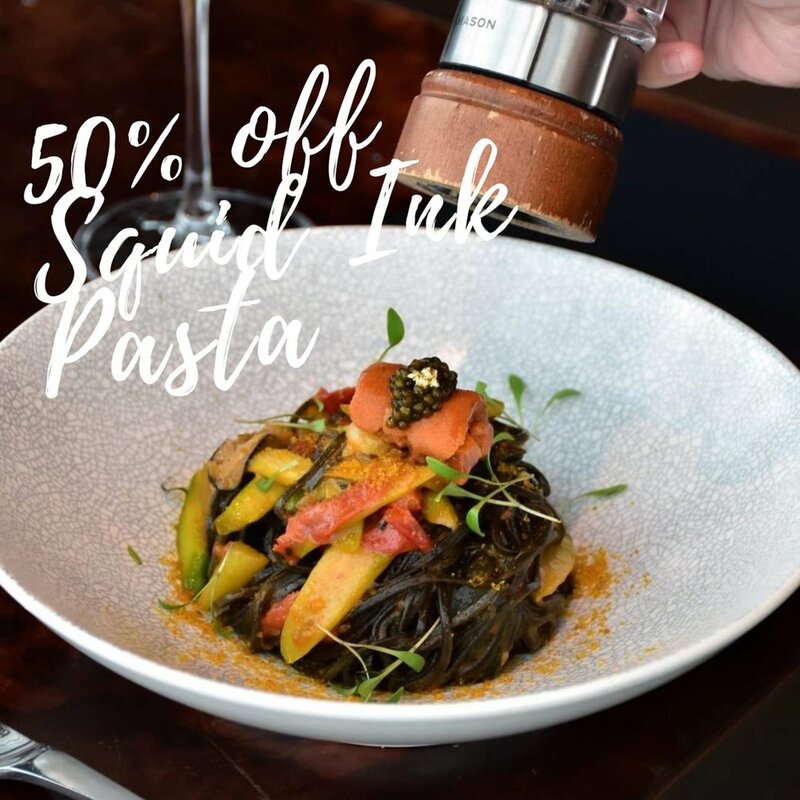 For one night only, savour Monti’s signature Squid Ink Pasta’s at a 50% discount. Valid for dine in only. Flash this screen to enjoy the offer. 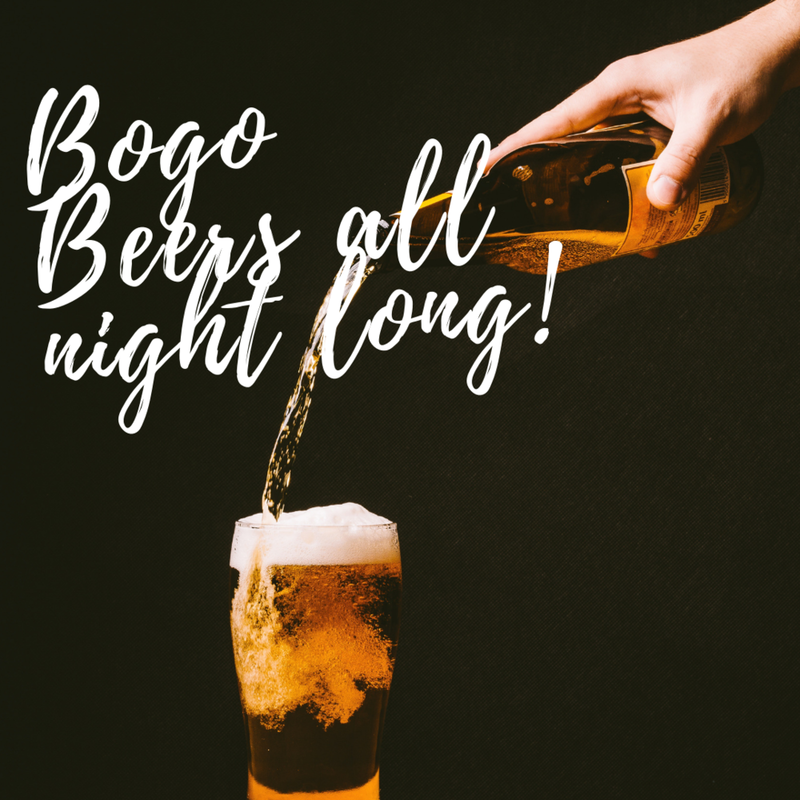 BOGO Beers Because You Can! Buy one get one beer all night long. Valid for Heineken and Guinness beers by pint only. Flash this screen to enjoy your second beer on us. Limited to 2 redemption per guest. Valid for dine in only. Reservations are required, quote “Thank god it’s black friday” to enjoy this offer. Valid for dine in only, no prior reservation required. 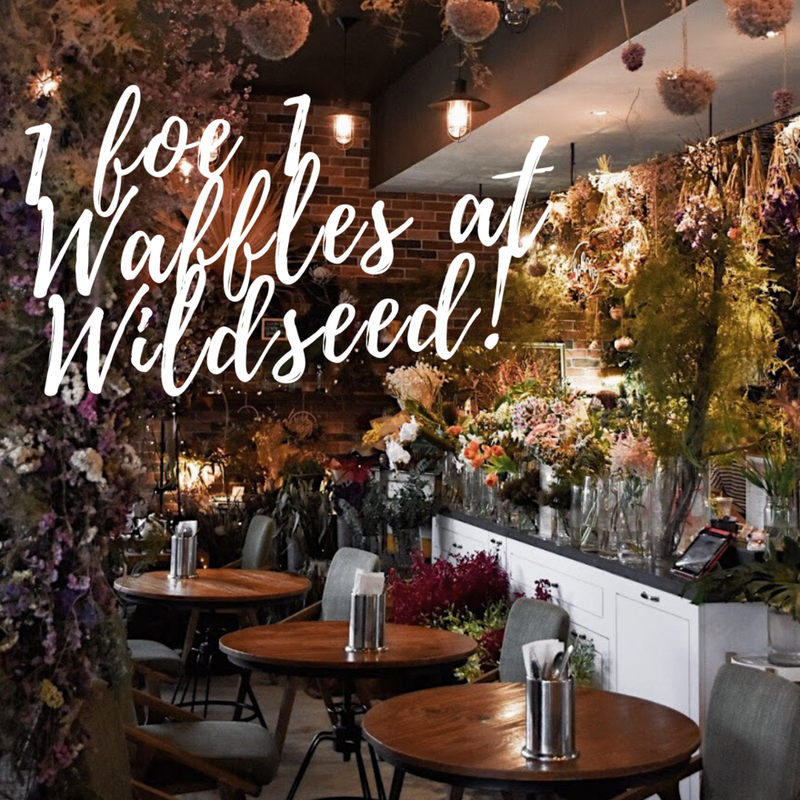 Flash this screen and enjoy a second waffle of your choice with every order of a waffle.